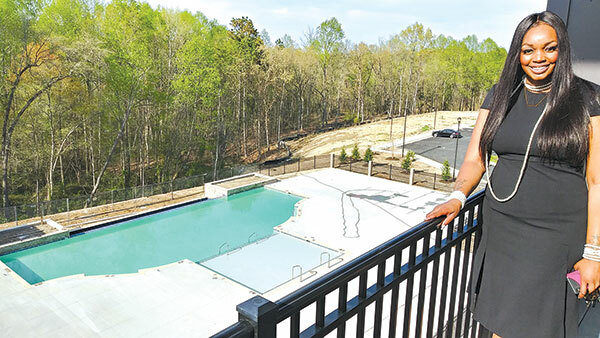 Jasmine Harris of Matrix Residential is pictured in front of the pool at The Jane apartments. 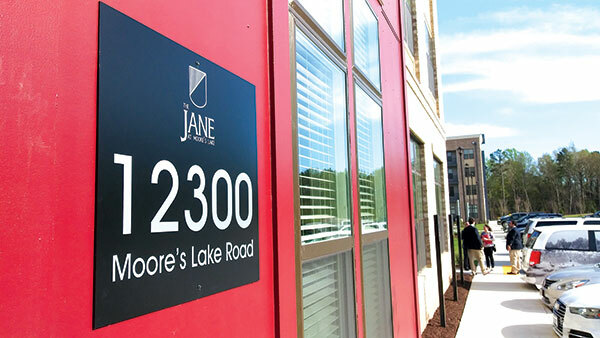 The Moore’s Lake area has been transformed into some luxury apartments: The Jane at Moore’s Lake. The iconic vacation spot of Jefferson Davis Highway from years gone by can be viewed in photographs that line the walls of the first floor of The Jane’s first 100-unit apartment building at 12300 Moore’s Lake Road. During an April 10 open house, locals got a chance to view what county supervisor Dorothy Jaeckle last week called a $60 million investment in the Jefferson Davis Highway corridor. The investment is largely financed through a 40-year loan from the U.S. Department of Housing and Urban Development. 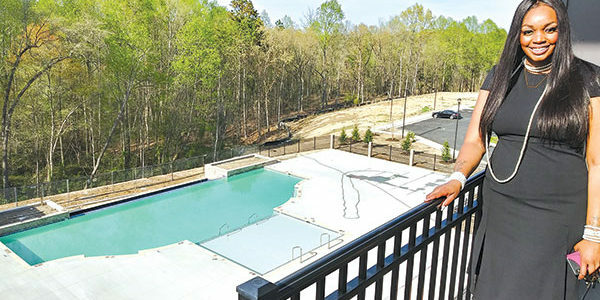 Phil Roper, who co-owns the development with George Emerson, said it took several years to bring the project to fruition. Phase I includes two 100-unit four-story buildings that feature one, two and three bedrooms, which rent from $1,190, $1,400 and $1,600 and up. Each building also includes one penthouse, which features three bedrooms, a spiral staircase and a loft and rents for $2,500 a month, according to Jasmine Harris of Matrix Residential, a property management firm. Each apartment has a built-in washer and dryer, granite countertops and a balcony. Phase I includes a total of 94 garage spaces located on the first floor of each building for an additional charge. Joe Potter, project manager from Branch Builds construction company, said the second building should be ready sometime in May. As of April 10, 27 of the first building’s 100 units were rented, Harris said. 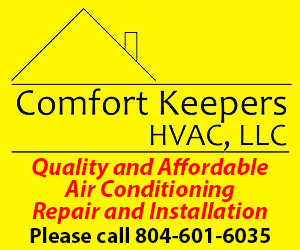 Roper said the men got the name, The Jane, from an apartment complex in Atlanta that was named in honor of golf legend Bobby Jones’ putter, Calamity Jane. “George loves to play golf, and he liked [the name],” Roper said. The Jane apartments in Atlanta have “a lot of really cool artwork and digital advertising,” he said, noting that the same architect – Poole and Poole Architecture of Chesterfield – designed both the Atlanta and Chester apartments. Some of Moore’s lakes are viewable through trees from the third floor of the first building, Harris said, but Roper noted that their property doesn’t include the lakes. “They’re more like wetlands because no one maintains them,” he said. 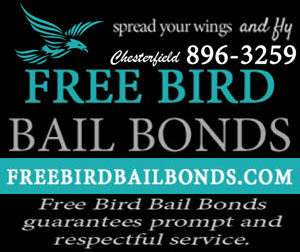 Potter said The Jane has the largest retention pond in Chesterfield County, which is adjacent the second building, and an outdoor pool is located next to the first building. The 185-unit Phase II building will also have four floors, Potter said. The project is the second that Emerson and Roper have on Jefferson Davis Highway. Their first, Colony Village Apartments, was the first redevelopment project completed over the past 10 years in the northern Jeff Davis corridor, according to former county planner Jimmy Bowling. Phase I opened in 2013 and Phase II last year, Bowling said. Colony Village is located north of Route 288 on the west side of Jefferson Davis Highway. Colony Village – which is also managed by Matrix Residential – also offers more up-scale housing.